Individual Jet Charter Travel | Stratos Jet Charters, Inc.
Our standards for safety and exceptional jet charter travel experiences. Whatever your travel needs, Stratos provides top-tier safety, aircraft selection and service. Fly and pay as you go. With our on-demand jet charter services, you take advantage of the ultimate freedom and flexibility in private jet travel. In as little as four hours’ notice, you can be flying on any size and type of available aircraft. Our on-demand program is ideal for individual and executive travellers with changing needs and a preference for pay-as-you-go travel. Access to a range of aircraft sizes and types based on your needs for each trip. Commit only to your trip, where membership and fractional ownership programs require long-term commitments. Pay in advance or after your flight. As individuals and corporations alike place a priority on efficiency and convenience, Stratos’s on-demand jet charter services have become a popular travel program. Thanks to our extensive network of aircraft operators and our experience organizing last-minute travel with a focus on maximizing your margin of safety, Stratos has become one of America’s most trusted names in on-demand jet charter travel. 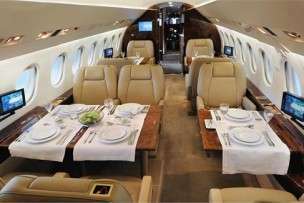 All the perks of owning a private jet with none of the hassle. What if you knew your aircraft would always be available in hours, and you wouldn’t have to worry about the expense and management of owning a plane? Lock in private aviation costs and forget about fluctuating market costs, which often increase during peak travel periods. Forget about invoices. Simply make a single up-front payment at the outset. Enjoy exceptional travel experiences every trip. When you’re a member of our jet card program, our agents and trip support team members get to know your unique travel needs and preferences so we can deliver the height of service (like custom catering!) every time we charter a jet for you. Travel on your terms. You’ve got the flexibility to accommodate last-minute and changing travel plans because your jet card guarantees your aircraft is ready in as little as 10 hours. In business, every minute counts. So does the happiness of your top talent. By chartering jets through one of America’s most trusted business jet charter brokers, your company improves productivity while giving your team a better work-life balance with reduced and even same-day business trips. Priority on your safety. We recommend aircraft because they’re safe, and our jet charters team is focused on improving your margin of safety by recommending aircraft for specific runway and weather conditions, and operators who meet our own strict and independent safety audits as well as the regulations required by the Federal Aviation Administration and the Department of Transportation (DOT). Expertise. Our booking agents are acutely familiar with aircraft capabilities, such as range, passenger limits, cargo capacity, runway requirements and other details that ensure your unique travel needs are met as you travel to remote locations and/or smaller airports. Rest assured, we’re recommending the best available aircraft for your group and destination, every trip. Total trip support. After our booking agent schedules your flight, a member of our trip support team begins working on all the finer details: gourmet catering, ground transportation, other travel reservations and updates your flight details in real-time. Whatever your corporate travel needs—frequent, regular travel or last-minute, changing travel—Stratos has the business aviation solutions and jet charters expertise to help ensure you enjoy safe and convenient flights, wherever your meetings take you. Stratos didn’t set out to become known as one of the best jet charter brokers for travellers with disabilities, but with our care and attention as well as our aircraft and airport expertise, that’s just what’s happened. Early on, we understood that our commitment to outstanding travel experiences could help make flying not just more comfortable but also more pleasurable for travellers with special needs. 1. 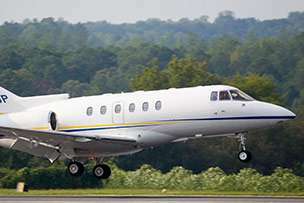 Expert agents recommend the best jet for your needs. Knowing that you may need a little more wiggle room or space for a wheelchair or oxygen tank, for example, our booking agents recommend aircraft with cabins that are taller and more spacious. Choosing a comfortable mid-size jet, for example ensures you’ll have smoother boarding, disembarking and flying. Plus, we save all of your preferences in our database to make it easy to recreate a pleasant travel experience again next time.